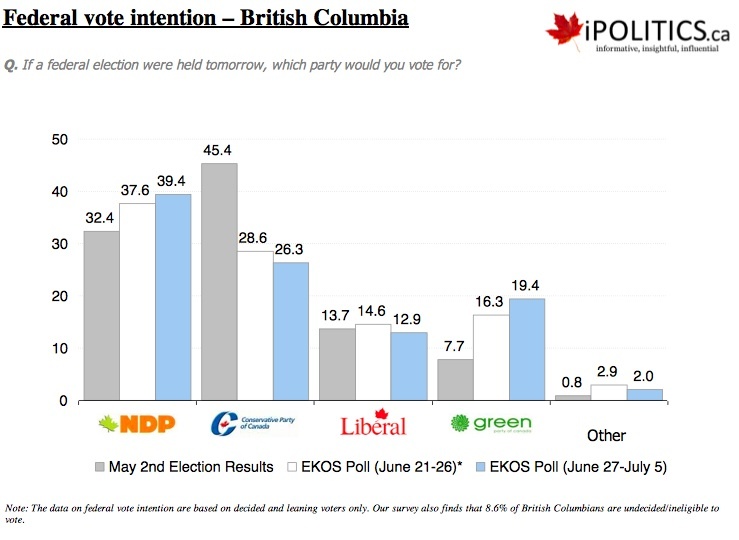 BigCityLib Strikes Back: NDP Still Ahead, Even In "The West"
The Ekos survey put support for the center-left NewDemocrats at 32.3 percent with the Conservatives on 30.2 percent. The Conservatives won a majority of seats in the House of Commons with 39.6 percent of the vote in May 2011. My theory here: The West is fragmenting culturally and politically, as everyone not living in Alberta begins to realize that the levers of power in Alta. are all controlled by a bunch of oily dicks, and their values are not B.C. 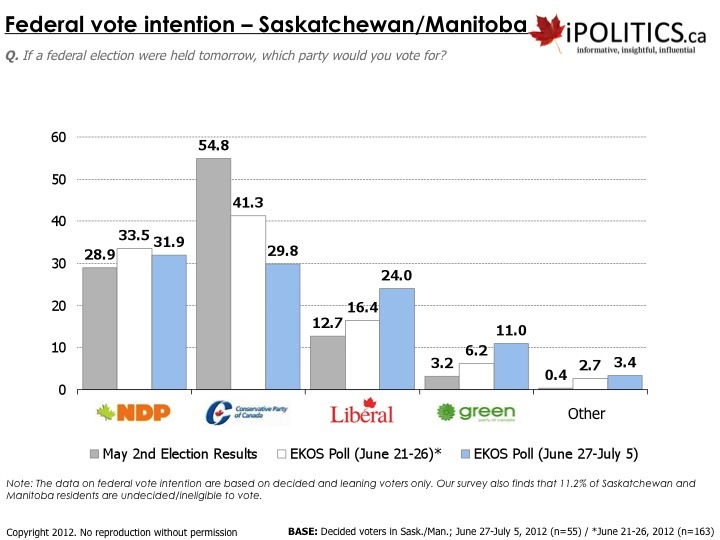 values or Manitoba values or Sask. values (here again, Northern Gateway overwhelms all other issues). 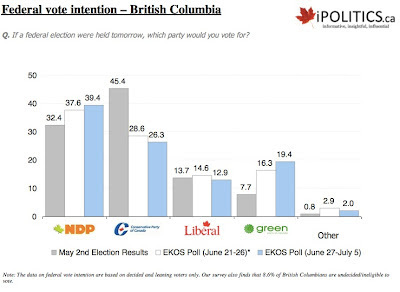 Nice to see that the Libs are leading again somewhere, though. Fredericton is as good a power base as any, I suppose. PS. 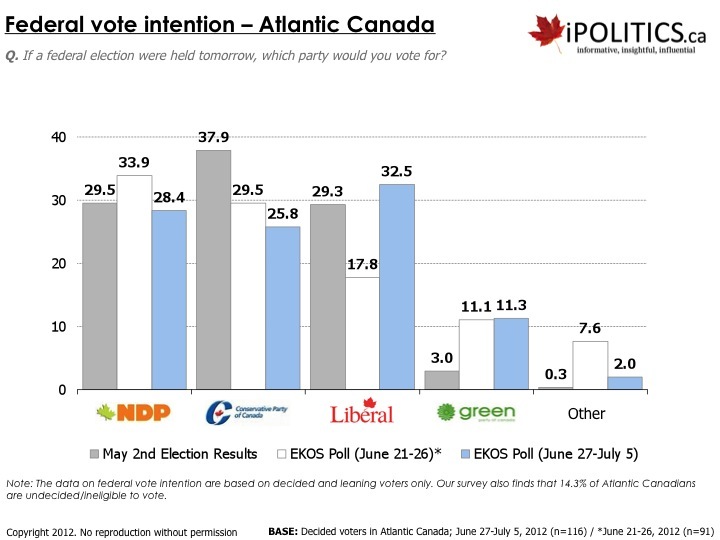 The other story is the rise in the Green vote, which was also noted in the last EKOS poll. Not just the Maritimes, there is some good news for the Grits in Sask-itoba too. 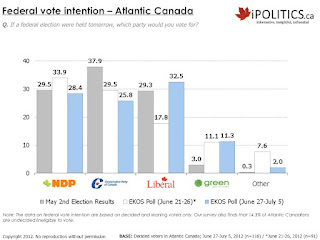 The Dippers are holding steady there, so the slide in the Conservative vote is going to the Liberals. The death of the Wheat Board plus their sensible policies towards oilsands development might help the Liberals here.